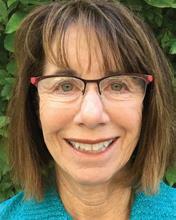 A UCI alumna, Ann DiPlacito started her 25-year UCI event career as a student conference assistant and continues this life-long love of event coordination in retirement. As a board member of the UCI Retiree Association, she helps plan lectures, tours and campus activities. 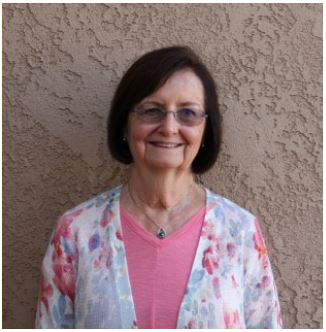 Ann is also an 8-year manager and board member for Sunday Supper, a Tustin ecumenical program that provides weekly meals and groceries for people who are homeless or living on limited incomes. Based on that interfaith work, Ann has taken advantage of retirement to get involved with other OC interfaith groups, including Orange County Interfaith Network’s House of Worship Tours, which included a recent trip to Egypt, Jordan and Israel. Another retirement “dream fulfilled” for Ann is her on-going printmaking class. Ann’s love of printmaking started with a class taught by John Paul Jones at UCI. Grandchildren, reading, church work, and travel round out a fulfilling retirement. Cindy Fern retired from UCI in 2014. 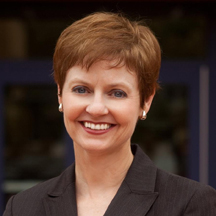 She is the former Director of Student Affairs for the School of Physical Sciences. 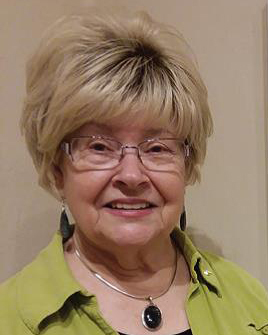 Following her retirement, Cindy joined the Retirees Association Board of Directors and currently serves as Treasurer. Having additional free time in retirement has allowed Cindy more time to sew. She’s a member of the UCI Stars, a group of quilters and crafters that started on campus in 2002 and continues to meet monthly at the home of another UCI retiree. This group creates quilts, pillows, and tote bags that they donate to the UCI Chao Family Cancer Center. Cindy’s specialty is ‘comfort’ pillows for breast cancer patients. She makes around 100 pillows a year. In addition, Cindy is a member of the Beach Cities Quilt Guild and is an active participant in that group’s philanthropy committee. Cindy participated in the Physical Sciences Mentorship program following her retirement and continues to serve as a mentor to several UCI graduates. She’s also been recalled to campus a couple of times to fill in for academic counselors in the Schools of Business and Physical Sciences who were on leave of absence. Since retiring, Cindy has taken up yoga and tries to walk or hike several times a week. She’s also resumed playing the piano, something she hasn’t done in a very long time. Retirement has allowed Cindy more time to read. She tries to complete one book a week and has a goal to read all of the books written by one of her favorite authors. Like other retirees, Cindy has had more time to travel. She and her husband of 47 years, Ed, just returned from a trip to England and Scotland. They are planning a trip in the spring to either Greece or Alaska. After retirement in 2012, Pat Price was excited to have more time to devote to her two passions: making quilts and traveling. She is a founding member of UCI Stars quilting group which donates quilts monthly to UCI oncology patients. She also participates in Beach Cities Quilters Guild, particularly in their Philanthropy group, which donates to various charities and organizations in Southern California. In appreciation for successfully treating her younger grandson's leukemia, she also provides children's quilts to Children's Hospital of Orange County (CHOC). Travel with husband, Craig Behrens, includes road trips, visits to various European countries, family camping, and trips to Mammoth Lakes and Maui. They belong to a gourmet food and wine group, enjoy Broadway musicals, theater and concerts. Pat states that her work for the UCI Retirees Board provides her with opportunities to continue campus friendships as well as to support the campus. Since retiring in June of 2013 after 33 years, Jill Halvaks has continued to give back to UCI and the community. Jill’s first commitment was to the Heritage Park Friends of the Library (FOL). This group of volunteers staffs the Used Book Store at the Heritage Park Library in Irvine. All proceeds go to supporting the Library. Due to her love of reading and books (she is in two Book Clubs), this was a perfect fit for Jill. Not long after joining the FOL Group, she set up a scholarship program for graduating seniors in the city of Irvine. When she can, Jill works with Families Forward in Irvine for specific events. Since Jill is also an alumna of UCI (1980) from the school of Humanities, she continues her ties to UCI by being part of the UCI Retirees Association for the past 4 years. Currently she is the President of the group. “Planning events, lectures, volunteer opportunities and FUN for retirees with a great group of former colleagues is the best!” says Jill. In addition, she helps when she can with the Sierra Project in the Mesa Court Housing area. Jill claims “there is also always a home project to oversee.” Never a dull moment. Jill and her husband Rob live in Irvine. They try to spend as much time as possible at their home in Truckee, CA. Jill and Rob also enjoy travel and in August of 2017 they traveled to Kenya for a 100-mile walking safari in Tsavo National Park. While Jill had the opportunity to retire early, she knew it was the right thing to do. It was time to give back. Kevin and Ximena Ansel have always been outdoors people. Since they both retired in 2016 they have had the time to enjoy what they love to do. Upon their retirement the Ansels bicycled across the United States unsupported on their touring bikes. They rode from Astoria, Oregon to Yorktown, Virginia. They also discovered the joy of horseback riding and hit the dusty trail on a weekly basis. Other travels include a backpacking trip in the Grand Canyon, other bicycle tours in Oregon and Arizona, and a cattle drive on horseback in Utah. The Ansels participate in the monthly UCI retiree walks, bike rides, and hikes. These outings are a great way to get outside and meet other retirees. 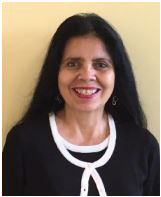 Kevin states “It is a true joy to meet others who put in so many years of service on the main campus and at the medical center.” Ximena encourages others to come to the outings and enjoy the camaraderie with fellow retirees. 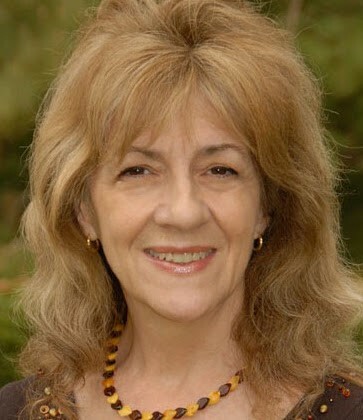 At the time of her retirement in 2011, Martha was invited to continue her evening work with Patient Health Education at UCI, which she had begun in 2000, teaching meditation and a class she developed called "Preparing for Surgery" for the Anesthesia Department. She then helped establish the Spiritual Care Ministry. In April, 2018, she received her 14 year service pin for Volunteer Service, and continues to volunteer in the Meditation Room on weekends. She was also offered the chance to join Mana Kai Wellness in Orange to have a private practice in Meditation and Healing Arts. Myra coordinated speaking engagements for over 300 physicians a year by the time of her retirement in 2014, growing the program from only 30 lecture events a year in 2003. Once retired, she found a new niche while watching the evening news — a group of women in New York gathered at a restaurant in New York to color. She loved coloring as a kid. With a little research and planning, she created 50 Shades of Coloring (www.50shadesofcoloring.com) in Orange County. She posted the first event on Meetup.com in September 2015, and more than 50 people joined in two days. Two years later and hosting four events monthly, there are almost 600 members “who found a place to relax, create, imagine and meet new friends.” In 2016 she brought coloring to Kaiser Permanente’s Infusion Centers in Irvine and Anaheim as a diversion for cancer patients. Chang Sok Suh, MD, OMD, PhD, is Professor of Anatomy, Yuin University (click and see page 58 for faculty listing), a volunteer at the Willed Body Program at the UC Irvine College of Medicine and was also a recipient of the honorable President’s Lifetime Achievement Award from President Barack Obama in 2014. His publication, Acupuncture Anatomy: Regional Micro-Anatomy and Systemic Acupuncture Networks, integrates Western and Eastern medicine, providing a scientific foundation for acupuncture. By correlating detailed anatomical information with specific acupuncture points, the book opens a window to understanding the physiological basis of acupuncture medicine.The book’s bulleted format and numerous illustrations make it easy to read and understand. It is a valuable companion for those wanting to bridge the gap between Eastern and Western medicine as it relates to acupuncture. His most recent research and teaching was with the Department of Anatomy and Neurobiology at UC Irvine where he served as speaker and coordinator for the “Introduction to Oriental Medicine” for first-year medical students sponsored by the Susan Samueli Center for Integrative Medicine. He is a volunteer at the UCI Willed Body Program and occasionally teaches acupuncture anatomy classes to licensed California acupuncturists. His book has been strongly recommended for the college and university level student and for all hospital and clinical personnel. 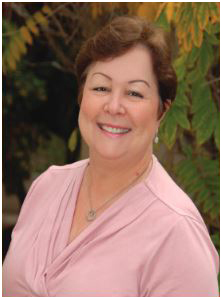 For 36 years, Marie Perezcastaneda has been a dedicated employee of UCI, ending her full-time career as Director of Business Services for the Office of Information Technology in October of 2016. During that time as well as since that time, she has inspired and engaged with the community, volunteering with the Orange County Rescue Mission (OCRM) in their Village of Hope’s Success Center with career path, networking opportunities and temporary placements; and Heritage Elementary STEAM Magnet School in Tustin working closely with teaching staff, front office staff and supporting the parent community. We are fond of saying that faculty and staff do not stop being Anteaters once their full-time employment ends. Everyday, we get to hear wonderful stories regarding UC Retirees like Marie who continue to be UCI’s advocates, ambassadors and assets. The group is comprised of Rachel Maus (founding member, retired 2008 as Director of Finance at the Henry Samueli School of Engineering), Jan Harper founding member, retired 2007 as Principal Administrative Analyst in the Office of the Executive Vice Chancellor and Provost), Pat Price (founding member, retired 2012 as Assistant Vice Chancellor of Academic Personnel), Nancy Gasparotti (retired 2010 as Degree-Works specialist for Registrar’s office), and Cindy Fern (retired 2014 as Director of Student Affairs for the School of Physical Sciences). The members developed an interest in stitching in 2002 when Nancy Minear, then Research and Evaluation Director for Student A_airs (passed away in 2012), showed co-workers a quilt she’d made. Colleagues expressed an interest, so she showed everyone how it was done. Thus began weekly lunch-hour sewing bees in Aldrich Hall. From 2002 to 2012, the UCI Stars created one group quilt per year that was auctioned for charity. They raised over $20,000 for various charities including the Chao Family Cancer Center. In 2009, while still UCI staff members, the group was awarded the ‘Living Our Values’ staff team award by Chancellor Michael Drake. In retirement they have continued donating their individually made items to the cancer center -- hundreds of quilts, pillows and tote bags made at monthly sew fests. Donna Baker, a licensed Clinical Social Worker, was the initial contact coordinating donations to the cancer center. Baker retired in 2014 and has now taken up quilting herself and joins the sew fests from time to time.